Hello everyone, today is day two of my Reader's Response week. Today's genre is YA Mystery, and the book that I have chosen to take a better look at is Stalking Jack the Ripper by Kerri Maniscalco. 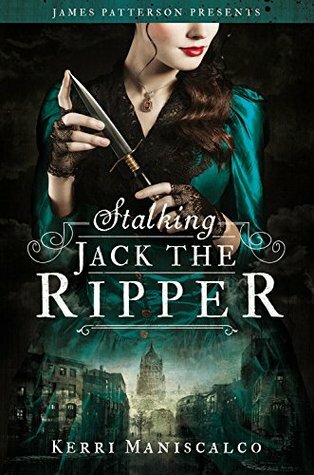 Sabrina: I would just like to take the time to thank you Kerri so much for joining me today and answering some of my questions for Stalking Jack the Ripper. Kerri: I’m glad to help with your project, Sabrina! Sabrina: Stalking Jack the Ripper, is completely fiction except for the fact that you took to the infamous serial killer who was never unmasked the 19th century. Did you do a lot of research on the actual murders that took place in order to help guide the story along? Kerri: Oh, yes…I did a massive amount of research before (and while) writing Stalking Jack. I pored over case details for the Ripper murders, learning everything I could about the women prior to their deaths. It was important for me to portray them respectfully, after they’d been so brutally disregarded by Jack the Ripper. My intention was to treat this in a way that didn’t glorify the crimes or murderer, but focused more on the desperate effort of solving this case and the remarkable scientific advancements that were used—some for the first time—in history. I researched actual post-mortem documents for the victims so I could accurately capture what a young forensic student would have witnessed. London in 1888 was also laid out a bit differently, some streets are not the same as they were during the murders, so I had to pick and choose which details to keep historically accurate, and which to modernize a bit. But my research wasn’t just isolated to the Ripper case. Since there’s so much science and new medical technology for the day, I wanted to make sure everything that’s said or done in the book was actually something that was possible in 1888. Everything from Petri dishes to carbolic acid, fingerprint collection, photography at murder scenes, Bunsen burners, sterilization, medical tools and post-mortem procedures. All of the science and technology in the book was available at the time, which I was surprised by. Also little details like if certain, wealthier households would have a telephone, or gas lamps vs. oil lamps, and electricity. If that changed from the city of London to the outlying towns. What was considered vulgar in polite, upperclass society, and what the rules for society were. For instance, saying “chair legs” would have been frowned upon in the Victorian era because of its reference to a body part. People used “limbs” instead. Afternoon Tea versus Royale Tea and the differences between the two and what the proper attire was for each. Etiquette, gender roles and expectations. Clothing and undergarments for women and what the bustles and corsets both looked and felt like. Then there were all the little details like “skittles” instead of “bowling.” “looking glass” instead of “mirror” and “biscuits” in place of “cookies.” Plus many more nuances like carbolic soap that are hardly noticeable but (hopefully) help carve out the world/atmosphere in a real and organic way. My goal was to make this book feel as authentically period as possible without having the details beat a reader over the head, or become obvious and detract from the story itself. The actual framework and timeline of the novel also follows the exact dates in which the original murders were committed. I simply fictionalized what I imagined the people behind the scenes were doing the nights of the murders. Sabrina: While beginning to write and plan your story, had you ever imagined another character to be Jack the Ripper by the end of the book? Or had you always had your mind made up on who it ended up being? Sabrina: Audrey Rose is the main character throughout the entirety of the novel, however Thomas Cresswell does make a valiant effort on trying to steal the show. Had you ever considered writing this novel as a duel POV, to allow for readers to see the inner workers of Mr. Cresswell? Kerri: Thomas Cresswell is one of those secondary characters who sort of elbows his way into the story and commands attention. Originally, I’d seen him as a quirky side character—one who had a Sherlockian quality about him—that I’d use to push Audrey to greater heights, but he definitely demanded more page time as I started writing. I always knew his backstory and had plotted out his character arc from book to book from day one, but hadn’t planned on giving him so much page time. I wanted them to have a completely platonic friendship and he wouldn’t stay in that box. He’s since become an even greater nuisance for the second installment in the series, and I would definitely explore the idea of either including his POV (along with Audrey Rose’s), or giving him his very own story one day. Being inside his mind is always an adventure and, as a writer, it’s very fun to sit back and see where he takes me next. Sabrina: Outlining from the beginning that Audrey lost her mother, do you believe that helped readers get the sense that without having a motherly figure to guide her through her teenage years, it allowed her to steer off course and become interested in other things besides embroidery and tea parties? Or would Audrey have found her interests with still having her mother around? Kerri: I think that Audrey Rose’s mother really laid the groundwork for her having the bravery to pursue her career and dreams, especially in a time that was very restrictive for young women. 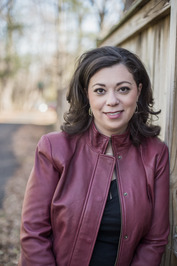 Her mother always encouraged her to be her own person, so it was because of her being a strong woman that Audrey Rose veered off onto a path that was less traveled for women during that time. Her mother would have fully supported her daughter, and would have been proud of the person Audrey Rose had become. There’s a quote in the book that Audrey Rose repeats and it captures how much her mother influenced her to cultivate her mind: “Roses have both petals and thorns, my dark flower. You needn’t believe something weak because it appears delicate. Show the world your bravery.” That was her mother’s way of saying strength comes in many forms and doesn’t only mean physical strength. Being brave enough to forge your own path in life, no matter what others may say or tease you about, is the best strength we can offer ourselves. Be fearless and curious. Do the thing that makes you the most happy, even if it’s terrifying to get there. Sabrina: Thank you so much Kerri for allowing some time out of your busy schedule to fancy an interview with me.